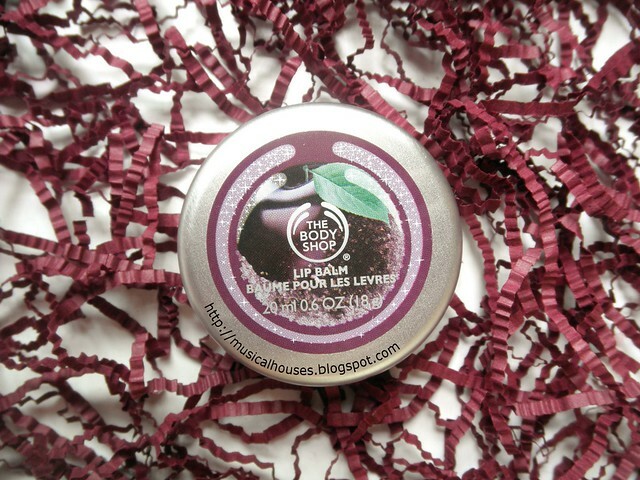 After my previous post looking at some of The Body Shop's Frosted Plum products, I'm back with the rest of the products! The Frosted Plum range is limited edition for Christmas, and in addition to the usual products - Body Butter, Body Lotion and so on - they also come in some very attractive looking gift sets. Anyway, the Frosted Plum range seems to be pretty popular this year, and some of the shops I've seen could barely keep them in stock. I've intended to review the range for awhile, but better late than never, right? Anyway, today's post looks at the Bath Fizzers, Body Butter, Shimmer Mist, and Lip Balm. The rest of the products I have (Sugar Scrub, Body Lotion, Shower Gel) were looked at in yesterday's post. So without further ado, let's take a look at the rest of the range! Along with the Shimmer Lotion, the Body Butter is also a popular favourite. I won't say too much about the Body Butter, because we're probably all familiar with this - this is rich, creamy, and very emollient, and great for dry skins and cold weathers. This is also pretty consistent with the rest of The Body Shop's Body Butters, and if you liked previous fruit-based scents, you'll like this too. As expected, the formulation for the Body Butter is emollient-heavy. After water, the first ingredient, you get a slew of emollients (Orbignya Oleifera Seed Oil, Stearyl Alcohol, Glycine Soja Oil/Glycine Soja (Soybean) Oil, Dimethicone, Ethylhexyl Palmitate, Bis-Diglyceryl Polyacyladipate-2, Caprylyl Glycol), a humectant (Caprylyl Glycol), and some emulsifiers (Glyceryl Stearate, PEG-100 Stearate). After this, we get Fragrance and the main preservative (Phenoxyethanol). The rest of the minor ingredients include the Plum Fruit Extract, other fragrance ingredients (Linalool, Limonene, Citronellol, Geraniol ), pH adjusters (Sodium Hydroxide, Citric Acid), thickeners (Xanthan Gum) and the like. So yes, it does seem like the Body Butter is indeed formulated to be very occlusive and emollient, as compared to the lighter Shimmer Lotion, and this was borne out by my own experience with the product. Next, we have the Frosted Plum Bath Fizzers. These are also a new product, and pretty interesting! These are basically like bath bombs - you put one in your tub, and you watch the bath get all fizzy, fun, and scented. 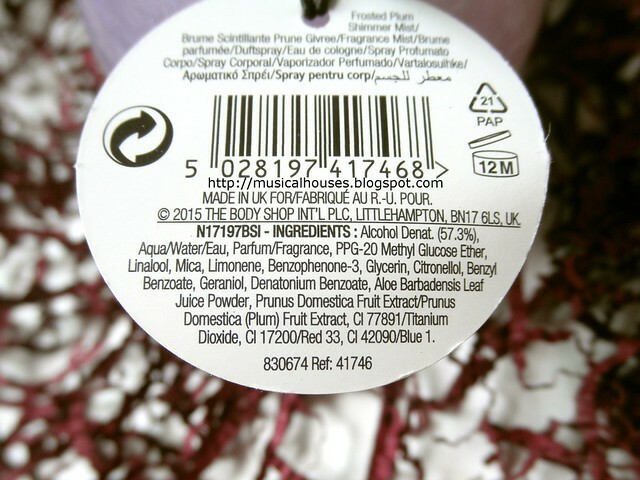 The main ingredients in the Frosted Plum Bath Fizzers are quite usual for bath bombs, consisting of Sodium Bicarbonate and Citric Acid, which are the two main ingredients that work together to give you that fizzy experience - when both ingredients are immersed in water, they react to form carbon dioxide, which is the gas that produces all the bubbles and fizzing, and sodium citrate, a salt that stays dissolved in the water. After that we have Monosodium Citrate, a bunch of humectants and skin conditioning agents (PEG-150, Maltodextrin, Sucrose), and the Parfum/Fragrance. 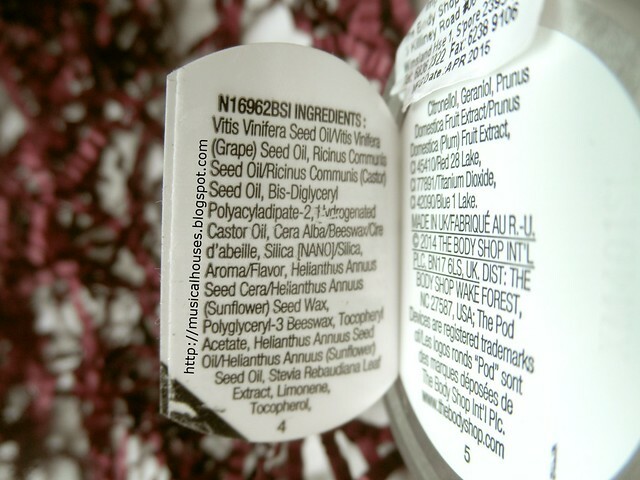 The rest of the ingredients include emollients, in the form of various oils (Sunflower Seed), absorbents (Talc, Hydrated Silica), and other fragrance ingredients (Linalool, Limonene, Citronellol, Benzyl Benzoate, Geraniol), the Plum Fruit Extract, and the like. So as a bath bomb, the bulk of the ingredients are the stuff that produces the fizzing, and some moisturizing ingredients for skin, which is pretty much par for the course when it comes to bath bombs. 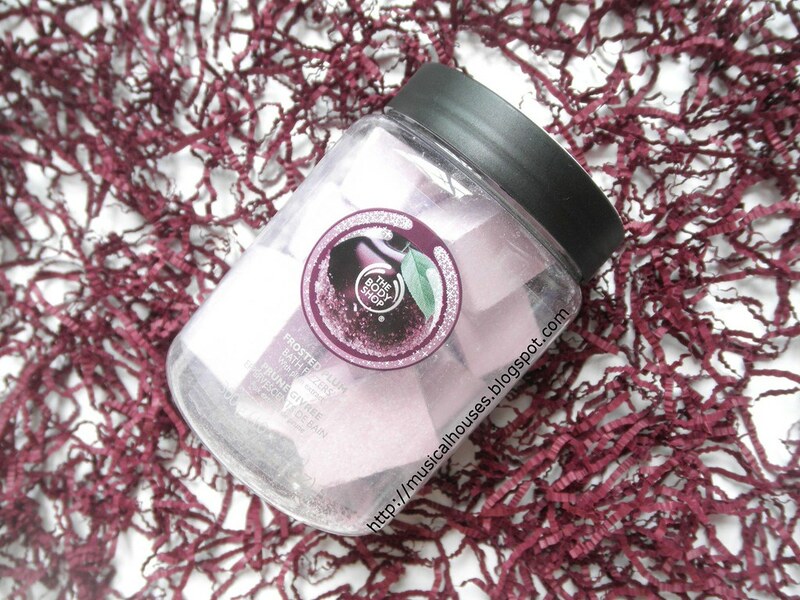 Although I'm less of a bath and more of a shower person, I really liked that the Frosted Plum Bath Fizzers really did give off a lovely fruity scent, and they do leave skin feeling soft. I liked that they included the Sunflower Seed Oil, which does also help to keep your skin moisturized even after you step out of the tub, as it forms an emollient layer on skin. Next, the Frosted Plum Lip Balm. These lip balms are pretty much a staple in The Body Shop's Christmas collections, so if you've tried previous iterations of the lipbalm, you'll like this. The main ingredients are basically various emollients, some of which are derived from plant oils (Grape Seed Oil, Castor Seed Oil, Bis-Diglyceryl Polyacyladipate-2, Hydrogenated Castor Oil), and Beeswax, which helps the product to be more solid. After that we have an absorbent (Silica [NANO]/Silica), and the Aroma/Flavor agent. The rest of the ingredients include more oils (Sunflower Seed Wax, Sunflower Seed Oil), emulsifiers (Polyglyceryl-3 Beeswax), fragrance ingredients (Limonene, Citronellol, Geraniol), as well as the Plum Fruit Extract. So as one might expect from a lipbalm, this is very emollient, and designed to help lips feel and look smoother. If you like plant-based oils and waxes, this product also has plenty of them. The Lip Balm itself is very nice, as expected, and it is indeed very emollient and doesn't wear off too quickly. The purple colour in the balm is actually pretty sheer - although it looks like it would be this unwearable shade of bruise, it actually adds only but the slightest hint of colour to the lips. Lastly, the tin is a pretty generous size for a lipbalm, although I do prefer my lipbalms in tube or stick form - it's just more convenient to apply on the go. Lastly, we have the Frosted Plum Shimmer Mist. If you're a huge fan of the Frosted Plum scent, now you can wear it as a fragrance too - with a little added sparkle! The sparkle in this is actually, as far as body glitter is concerned, quite moderate. It leaves a veil of shimmer, rather than a huge bunch of huge glitter bits. The shimmer is visible though, so you probably want to be careful where you spritz this - shoulders and collarbones seem like great places to start, rather than behind the ear as you might with some other fragrances. 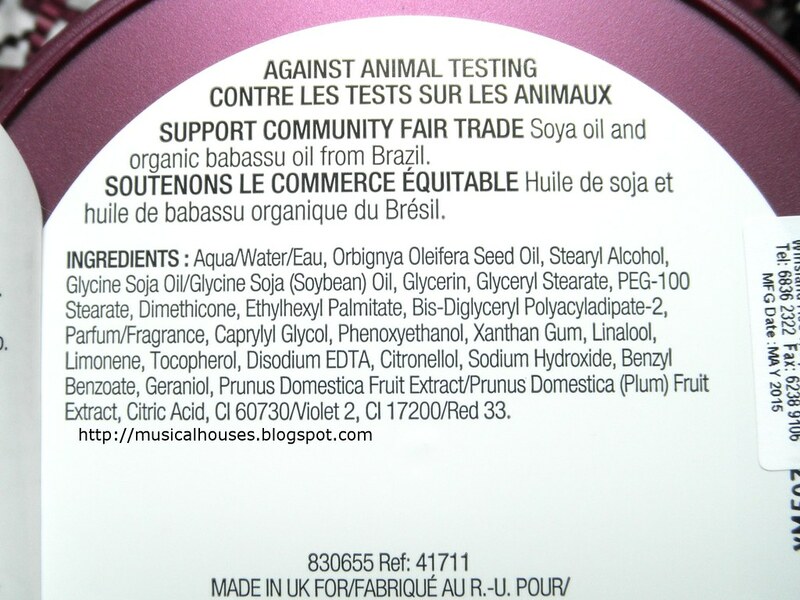 Ingredients-wise, I don't have too much to say about this - I mean, people buy fragrance products for the scent, not the skincare benefits, right? 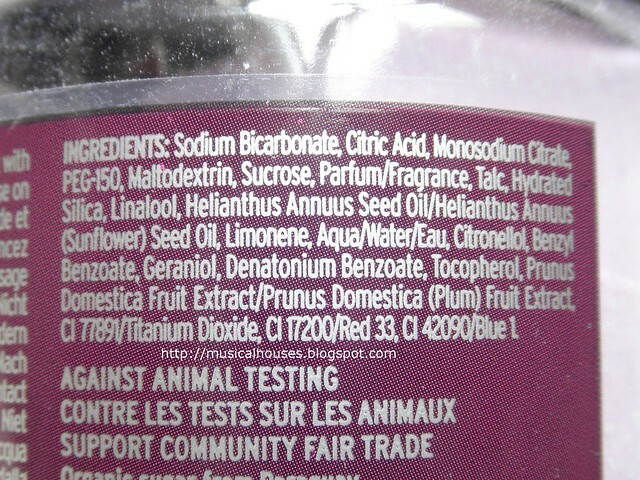 But it does have very typical perfume ingredients, including alcohol, water, and of course, the fragrance. THere is also Mica for that shimmer we love. Interestingly, there is also Glycerin and Aloe Barbadensis Leaf Juice Powder, both humectants, in small amounts. And of course, there is the Plum Fruit Extract. So, would I recommend the Frosted Plum Collection? If you're a fan of the scent, and of The Body Shop products in general, these will be great additions to check out. Generally, the products are formulated to do what they claim to do - the Body Butter is nice and emollient and creamy, the Bath Fizzers work exactly like a bath bomb should, the Lip Balm is emollient and softens lips, and the Shimmer mist is a nice combination of fragrance and shimmer. My personal favourite item out of this bunch is the Body Butter, because I've always been a huge fan of The Body Shop's Body Butters to begin with (they are one of my go-to cold weather body products), but I really also like the Lip Balm because it is quite nice. Prices range from $12.90 for the Lip Balm to $32.90 for the Body Butter. 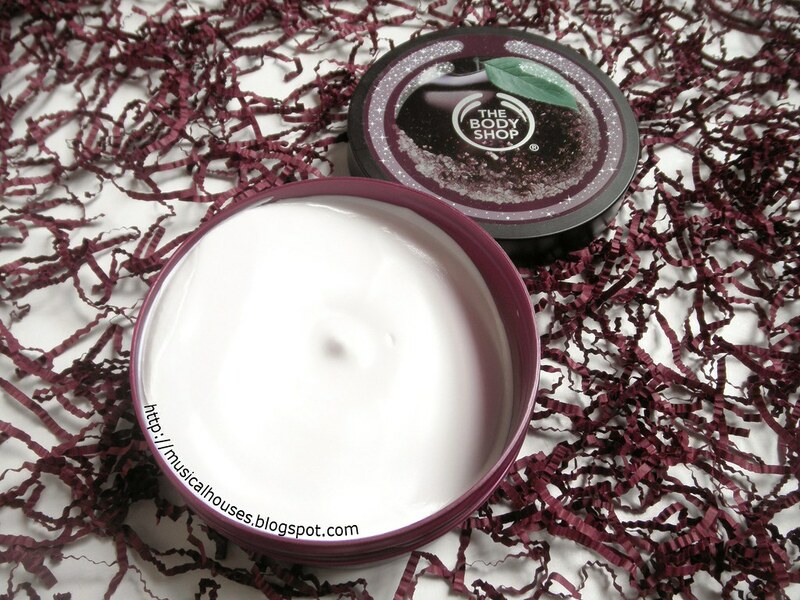 The Bottom Line: The Body Shop's Frozen Plum range consists of well-formulated staples that do what they claim to do, making this a great range of bath and body products. OMG!!! This line is sooo pretty. I love to try out every product in it. They seem like really great ones to try out.